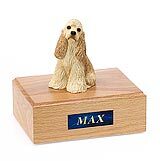 "I did receive it and it is just as beautiful as Caesar's. 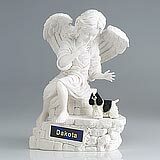 Once again, I am simply amazed at the quality. 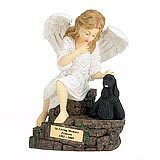 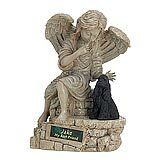 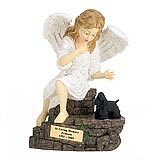 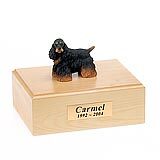 Even though I know that I will be contacting you again in the future under similar circumstances, it Is comforting to know that there will be such a unique memorial available for each of my special pets. 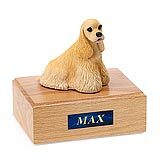 I very much appreciate how you made an exception for my situation, and I have been singing your praises to all of my co-workers. I certainly hope it brings you much success and new business!!" 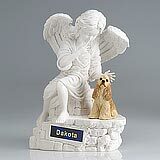 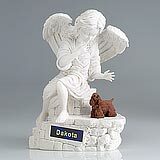 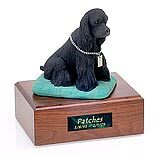 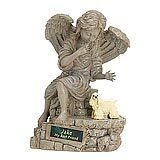 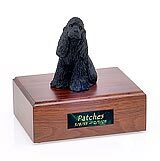 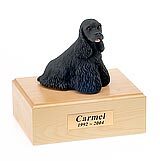 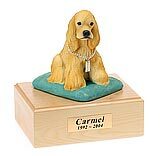 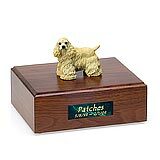 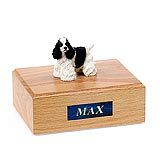 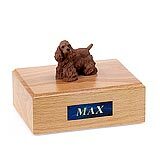 All available Cocker Spaniel dog urns and memorials will be displayed with the figurine on the Cocker Spaniel urn you select and in the appropriate size.